​From an aspiring filmmaker to a musical theatre actor, and from a passionate saxophonist to an accredited music composer, Tan Onwimon is undoubtedly one of Thailand’s most auspicious composers. His versatile ability to slither from genre to genre, from media to media, all in a short amount of time, has established his status as the up-and-coming composer to keep an eye on. It all started in his college years, when he was inspired to completely shift his career interest from film to music, which placed him in music-related positions in numerous theatrical productions, and later garnered him an award from Thammasat Music Contest. Today his is one of the first few names to come up as a composer in Thai film industry, known from his music scoring credits in “Tipitaka: The Living Message” (2019), “Yolk Man” (2019), “Beauty and the East” (2019), and his work co-orchestrating “The Secret of Immortal Code” (2017), Sonn: A New Musical (2018), the hit LINE TV series, “Strange Girl in a Strange Land” (2019) and of course, "National Parks of Thailand" (2018). He is currently working on a number of upcoming musical theatre productions and films currently in post-production in which we can’t disclose the title. We have an opportunity to have a conversation with him about his successful career in film scoring and music composing, and how it feels to be one of the most sought after composers in Thailand. Thaivision : Thank you for sitting down with Thaivision today. 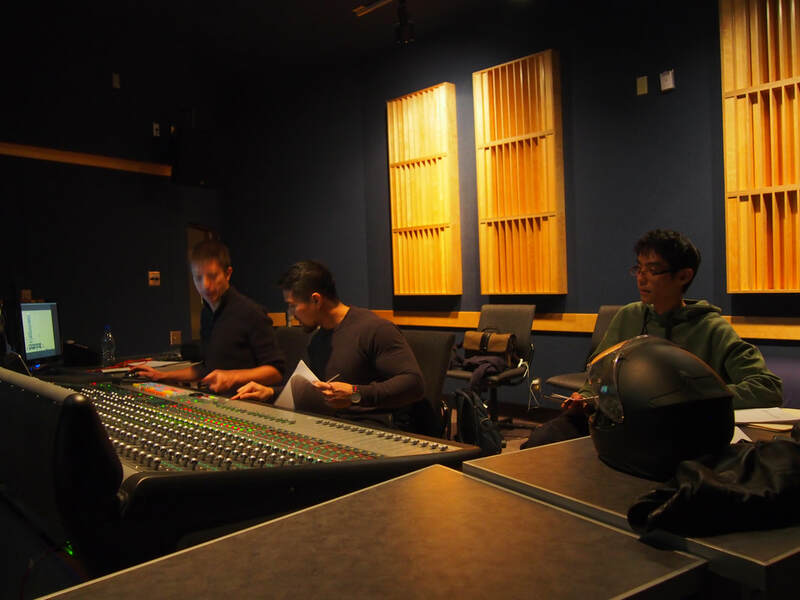 We heard you recently finished scoring an NHK original documentary, what can you tell us about this project? Thaivision : How do you even score a documentary about ducks? Thaivision : Does it mean that most projects start off quite difficult? ​Thaivision : What are the differences between working with each director? Thaivision : Congratulations on the awards your film “Flower” have received from Los Angeles Film Festival and making a festival rounds around the states, can you elaborate on the project? Thaivision : Was it challenging scoring an award-winning film? Thaivision : So you enjoy experimenting in music? Thaivision : This seems like a big year for you. What are you working on in 2019? Thaivision : I heard that sometimes you also take on the role of an orchestrator? Thaivision : What inspired you to come this far in this career path? Thanks to Tan Onwimon for sitting down with Thaivision and tell us an inspiring story about himself. We hope to see more of your work in the future.